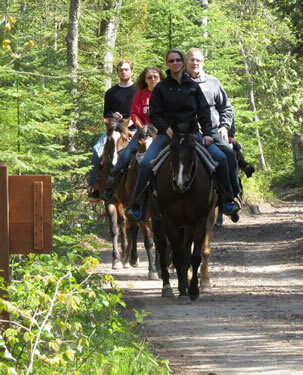 Before assigning you a horse to ride we will ask you to fill out a short riding questionnaire. Please be honest in answering the questions. We will then do our best to match you with a horse that fits your skill level. We are only able to accommodate riders under 250 pounds. 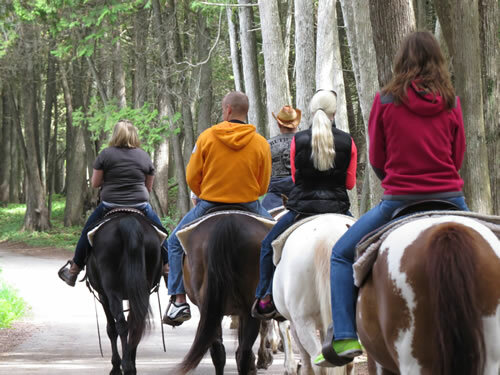 Riding helmets are an important safety accessory for horseback riding and we encourage you to wear them. We have helmets available for your use. 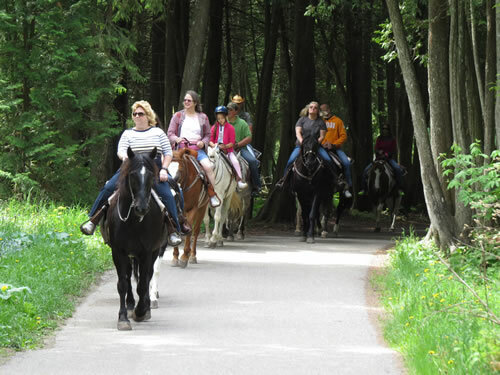 Always keep horse at a walk while on pavement when going downhill. Keep to the right side of the road. Ride in single file when in traffic. Go at an easy pace. Do not tie horses or leave horses unattended. Do not feed or water horses while out. Your best bet is to remain on your horse at all times. Only one person on a horse. 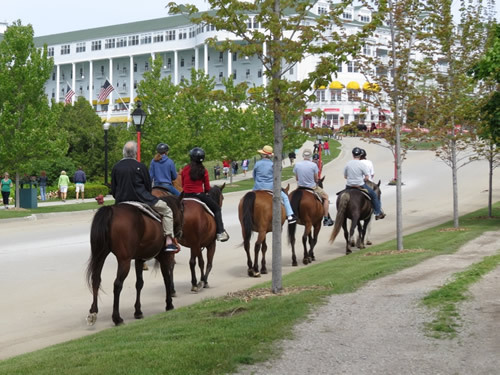 Horses are not allowed on the Main Street. No trading horses. Stay on your assigned horse. These rules are provided for your safety and riding pleasure. Use good judgment, treat your horse humanely, and enjoy your ride on the island. As an experienced rider who is familiar with the island, your trail guide can provide riding instructions, road and trail directions, and answers to any questions you may have. Hold both reins in one hand. To turn right, put pressure with the reins on the horse's neck to the right. To turn left, put pressure with the reins on the horses's neck to the left. To get the horse going, kick him in the ribs with your heels and say "Giddy up." To stop the horse, pull back on the reins and say "Whoa." Keep a loose rein when riding on the roads and trails. 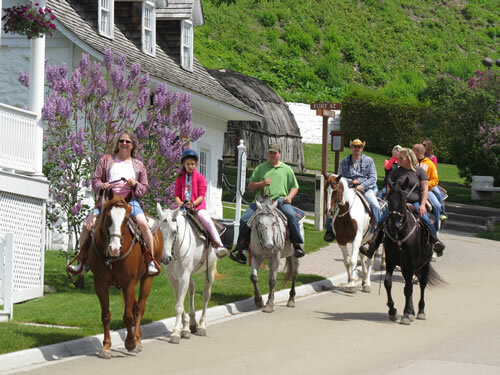 $50/hour for a saddle horse rental.